FASHION DOLL DECORATING ACCESSORIES | American Plastic Toys Inc. 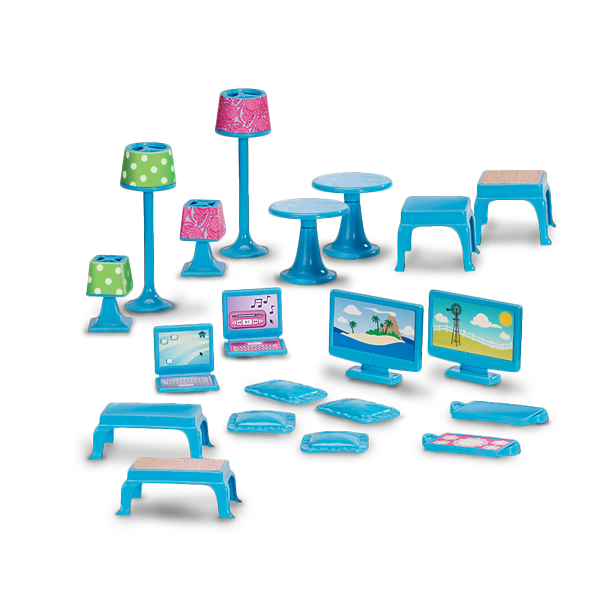 This doll accessory set includes 20 pieces to complete the dream dollhouse. It includes lamps, accent tables, serving trays, pillows, televisions, and laptops. The set also includes colorful labels that accent the furniture and accessories. Crafted from strong and durable plastic.